About a year and a half ago, I made up my mind to rebuild a motorcycle. I had no mechanical training, no hand-me-down garage wisdom from friends or relatives — no real experience at all. But I had recently repaired a starter motor for my currently-running vintage motorcycle, and I was hooked. So I bought myself an already-running 1982 Honda dirt bike, and holed up in my garage on weekends and evenings to tear it down. Since then, I’ve come a long way. I’ve rebuilt the wheels, the brakes, and the engine’s top end. And I’m this close to getting it back on both wheels again. In that time, this project has taught me so much. About motorcycles, of course, but also about myself and the world. I could go on forever with lessons I’ve learned while rebuilding this motorcycle. But, for today, I’d like to talk about my newfound appreciation for a category of object I’d never given a second thought: the humble hand tool. Somewhere — tucked into a toolbox or collecting dust on a laundry room shelf — everyone has a wrench or two. Each of these wrenches serves a different purpose. I have short wrenches for hard-to-reach spaces, wrenches for different bolt heads, wrenches that ratchet, and wrenches that adjust. And all of them are in several different sizes. It sounds like chaos, and sometimes it is. 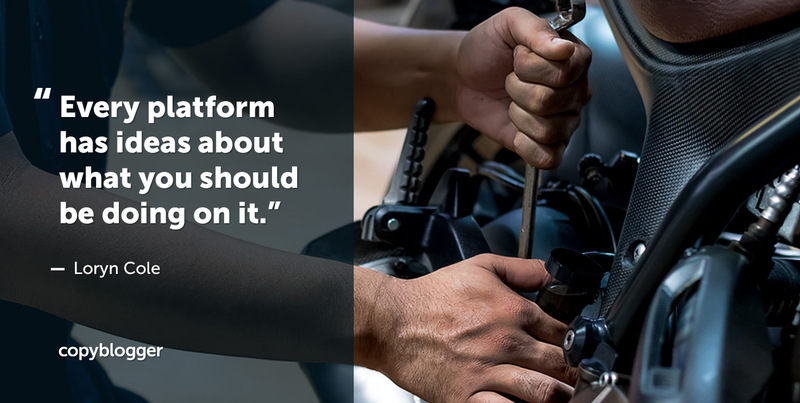 But the wrenches in my toolbox are part of a highly standardized system that’s been evolving for centuries — and which has had a deep influence on the world we live in. The origins of threaded bolts go back to ancient times. By the first century BCE, wooden threaded bolts were already common. Around the 1400s, their metal counterparts appeared, but it wasn’t until the Industrial Revolution that we had the equipment required to manufacture them on a large scale. By the mid-1800s, metal bolts were everywhere, and tool inventors were keen to develop wrenches for the new market. The earliest U.S. wrench patents are for basic-looking adjustable “rack” wrenches, but the creativity of the designs of the mid-19th century is nothing short of inspiring. It’s hard to believe that a wrench with a rotating head would withstand much torque, but in 1855, Charles B. Bristol thought it was a good idea. And I can’t imagine this clamp-like wrench being very effective, either, but both Hollen and Pierce backed it. There were wrenches with wavy handles and ratcheting heads, wrenches with heads that arced around bolts, and hundreds of designs for making wrenches adjustable. For all the weirdness of the designs, I can’t help but wonder what it must have been like, to live in a time where the technological playing field for something so basic was so wide open? When there was room for anyone to bring a new, interesting idea to the table? For a wrench? Of course, this openness couldn’t last — and thank goodness it didn’t. In the 20th century, we standardized fastener sizes and types, and settled on a few solid wrench designs for different applications, which worked well and could be mass-produced. Nobody is inventing wrenches anymore. Instead, using the shared foundation of standardized wrenches and fasteners, we’ve pushed technology forward. We developed cars, farm equipment, construction machinery, factories — and of course, motorcycles. What’s the “wrench” of our time? Based on my unscientific observations of an archive of old tool patents, the mid-1800s were the most volatile for wrenches — the era when inventors were testing their most unique and creative ideas. In that time, a confluence of new manufacturing equipment and demand made the wrench market perfect for innovation. After that time, it became more important to standardize, so we could use those wrenches and bolts to advance our technological horizon. Now, it’s almost impossible to imagine a new fastener technology, much less sell one. It would have to be pretty darn good to persuade manufacturers to upend their assembly lines. And even then, the old bolts and wrenches would never completely disappear. Technology philosopher Jaron Lanier calls this process “lock-in.” And though the history of wrenches and bolts is old news, the storyline is particularly relevant to the digital era. Because, as Lanier writes, digital technologies are even more susceptible to lock-in than the hardware that preceded it. Lanier cites several examples of locked-in technology, including MIDI and files. But I’d argue we’re on the precipice of some serious lock-in with online communication platforms, too. Email has been firmly entrenched for years, and instant messengers are now common in every modern workplace. Despite Facebook’s shortcomings, it’s hard to imagine a social media platform overtaking it any time soon. We haven’t seen a successful new large-scale social media platform since Snapchat, and even it is shrinking. Notifications, newsfeeds, likes, comments, posts … these elements may seem inevitable, but it’s only because we’re used to them. In truth, they are only ideas about ways we can communicate online. Unlike the humble wrench, it’s hard for us to judge the utility of these concepts. With a wrench, there are clear, obvious goals. Can it grip the bolt firmly? Can you use it to adequately tighten or loosen those bolts? But online communication tools serve a variety of purposes. Sometimes, we want to be interrupted by a time-sensitive email. Other times, it’s a focus-killing annoyance. Sometimes, it’s fun to scroll mindlessly through cat gifs on Reddit. Other times, it’s sheer procrastination. Every platform has ideas about what you should be doing on it. Keep scrolling so we can serve you ads. Click the notification so we can pad our number of daily active users and secure funding. This is especially difficult for us, because we tend to accept polished-looking technologies as “done.” And so many things on the internet are slick and polished. So pay attention to how your online tools make you feel. Don’t be afraid to reject the ones that don’t support your goals. In the same way you’d reject a wrench that slips, you have the power to reject digital platforms and tools that don’t work for you. Because digital tools are nothing more than that: tools. I agree with the notion of some online tools not supporting our goals and the need to reject them. However, some tools end up becoming more than just tools. This is due to the danger of addiction on platforms like social media and messengers. Also, notifications and the fear of missing out keep people going back to those platforms.